A/Prof Lucas is a medically trained epidemiologist with interests in sun exposure and vitamin D, particularly as they related to disorders of immune function. Her work is additionally concerned with public health messages to guide optimal sun exposure. Lucas was the leading author on the Global Burden of Disease due to Ultraviolet Radiation Study, for the World Health Organization. She is a member of the United Nations Environment Program Environmental Effects Assessment Panel for Ozone Depletion, a member of the Scientific Advisory Panel for the International Task Force on Skin Cancer Prevention, and a member of the Vitamin D Standardisation Program. Lucas was the study coordinator for the Ausimmune Study, examining low sun exposure and vitamin D status as risk factors for multiple sclerosis and is a Chief Investigator on the AusUVI study that investigates the effect of sun exposure on the immune response to vaccination. 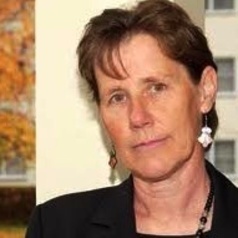 She is a Chief Investigator on the NHMRC Centre of Research Excellence in Sun and Health, The AusD study (investigating the determinants of vitamin D status in Australian adults), and the Seasonal D study (investigating the determinants of seasonal variation in vitamin D status in Australian adults).